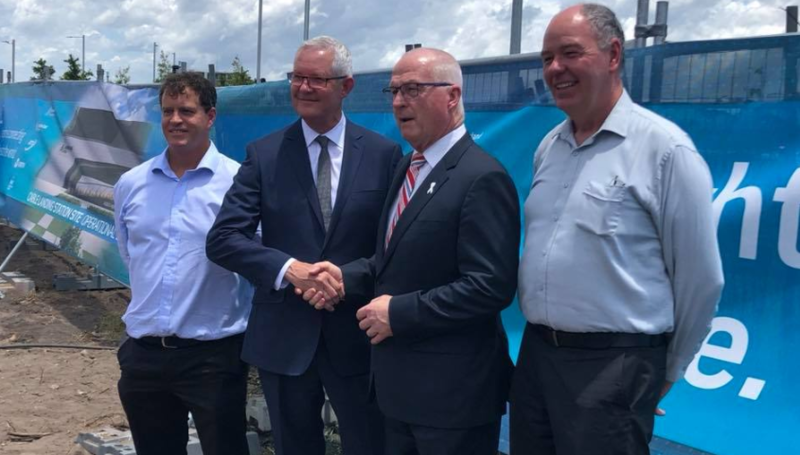 The Sunshine Coast Broadband Submarine Cable Landing Station location has been revealed. Maud St adjacent to the Maroochydore CBD will be home for one of our most important economic and community facilities. Congratulations to Vertiv an international company specialising in the design and construction of infrastructure for critical technologies. Vertiv has extensive global expertise and counts Alibaba, AT&T, Equinix, Ericsson, Siemens and Vodaphone among its clients. CEO Robert Lindsell who joined me today for the announcement and was very complimentary about our Cable Project and the important niche we are carving in international awareness. Robert has committed to using Vertiv’s considerable influence to highlight what I like to call our emerging ‘Digital Trade Centre’ and his help is much appreciated. The international broadband submarine cable will stimulate local business, shape our regions value proposition, deliver more than 800 new jobs and generate almost a $1 B in investment, whilst enhancing our reputation. Another example of your Sunshine Coast Council getting in with creating the future. Thanks to our staff, Councillors, media and supporters for your continued positive commitment to this futuristic project.